Emma Trussell is a senior at Plano East and photo editor for the 2018-2019 newspaper staff. This is her first year as part of the newspaper staff and second year in one of Mrs. Cole’s journalism class. She is very excited to manage the photography of the Panther Prints and make sure everything is picture perfect! Emma is passionate about writing and photography, and is looking forward to combining the two while working on the newspaper. Photojournalism was one of her favorite classes last year and she’s ready to explore new areas of journalism. When she’s not working on the Prints, you can find Emma at the local bowling alley practicing for her second year on the PESH bowling team or staying after school to work and participate in clubs like GSA and Literary Magazine. 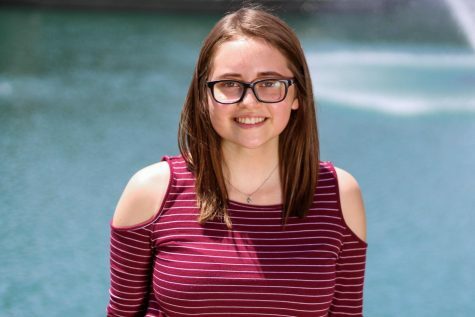 Besides journalism and bowling, Emma has a strong passion for the environment and hopes to combine her journalism and science skills to help improve environmental conditions and secure a green future.